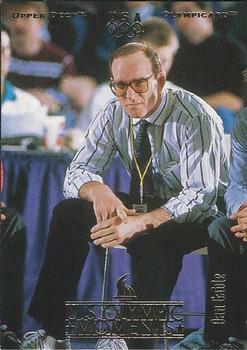 The feature attraction at the wrestling venue in Munich, Dan Gable went to Germany with the pressure of being the gold medal favorite in the 68 kg (150 lb.) class. The 1971 World Champion and winner of every major tournament prior to the Summer Games not only captured the gold, but did so without surrendering a point. Following Munich, Gable turned to coaching, showing the same intensity and ability to win at the University of Iowa. He also coached the U.S. Olympic Wrestling Team at the 1984 Games in Los Angeles.